Isn't it sad that there are less and less 'real' cinemas around. It seems like the multiplexes are taking over - if they haven't already. They are these impersonal places, where you just feel like in a shopping center. There is only one theater room with a small screen and a sound system which is quite poor, but for most of the movies they show you won't need a great sound. The cinema's programme is filled with foreign less known films and old classics. Some of the recent ones are shown, too but hardly ever will you see the big blockbusters there. Even if, for some reason, they decide to screen Batman or Spiderman, it's better to go to a multiplex to watch that. Phoenix is mostly for those heart warming movies, old comedies or musicals, and for the films with a 'message'. Great to see you write about this. 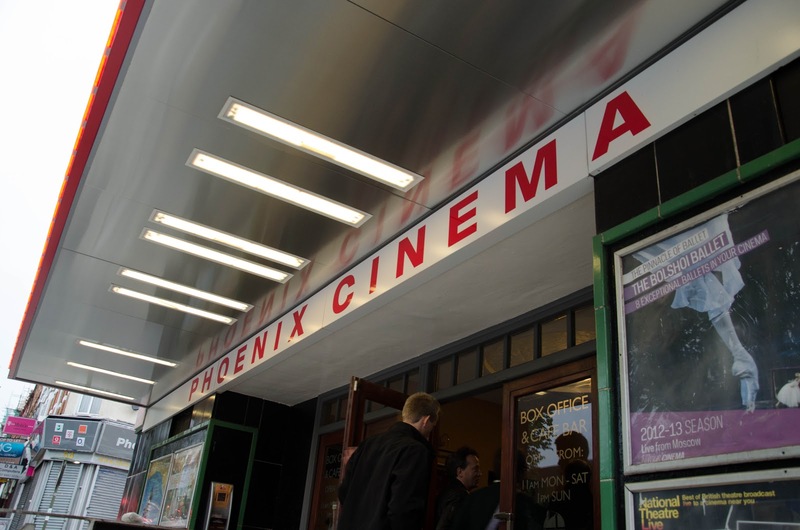 I haven't been to the Pheonix but I did get to the charming Curzon many years ago. I studied film and was a filmmaker before I was a travel writer and I spent many years in charming, dark, old independent 'picture theatres' (as my grandparents used to call them) to watch foreign/art house films, and I was heartbroken when I returned to Sydney to discover many of them had closed down. Tragic. I think they'll realise how foolish they were for doing so one day. I also love to see movies when I travel and used to spend a lot of time at foreign film festivals - watching how people watch films can be as entertaining as the actual movies. I love independent cinemas. My dad used to own a little one in my home country and watching a film in a an old cinema brings back memories. It's such a shame that people nowadays don't appreciate the magic and atmosphere these old places have.